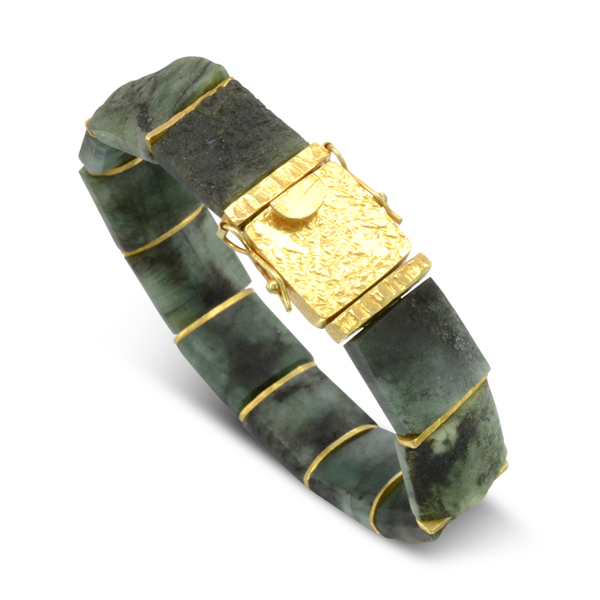 This Rough Brazilian Emerald Bracelet is made from 15mm rough cut squares of emerald. The emerald has a polished finish on he inside so that it is smooth on the skin. The metal in this bracelet is gold plated hammered silver with a UK hallmark. We make the bracelets to order. The usual length is 7.25 inches. This fits most people. We can add another square to bring the length to 8 inches for a large size.